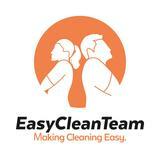 Join our part time cleaning crew! 5 hours per shift 10am - 3pm 6pm - 11pm $1000/month OR $40/shift 6 days a week Working location along Tanjong Pagar area. Open to Singaporeans, PR, Malaysians or LTVP holders *this role is specifically for kitchen cleaning* Other cleaning positions part time and full time available, PM for more info. To apply, PM or contact 87742358 We look forward to hearing from you!